EDITOR’S NOTE: In August, a poster here who defended autosurf Ponzi schemes demanded readers to “show me one time where the [U.S. government] has even started a lawsuit or ‘gone after’ a company off shore.” The post concerned the AdVentures4U (ADV4U) autosurf, which, like a number of autosurfs, claimed legal ties to Panama. Promoters said the purported ties insulated the surf from prosecution. Readers responded by providing several examples of prosecutors extending their reach beyond U.S. domestic soil to pierce the illusion of corporate veils and bring schemers to justice. The story below is about an alleged Utah Ponzi, real-estate leveraging and forex-trading scheme in which the operator was arrested in Panama, brought back to the United States and jailed. 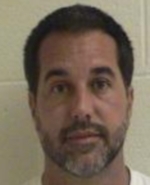 While Jeffrey Lane Mowen was in jail awaiting trial, the FBI said yesterday, he solicited a fellow inmate scheduled to be released in October to murder four witnesses “with the intent of preventing their attendance and testimony at his federal fraud trial” in the Ponzi scheme case. UPDATED 4:14 P.M. ET (U.S.A.) In a case that puts more than just the financial dangers of Ponzi schemes on full display, jailed Ponzi suspect Jeffrey Lane Mowen has been indicted in Utah on charges of hatching a plot to hire a fellow prisoner to kill four witnesses in the Ponzi scheme case upon the inmate’s release from prison. violence, witness tampering and retaliating against a witness. Mowen, jailed in Davis County, Utah, earlier this year after being arrested by Panamanian authorities working proactively with U.S. officials, was extradited to the United States to face the original charges in the case. Prosecutors indicted Mowen in February under seal for the alleged Ponzi, announcing when the indictment was unsealed April 21 that he was “living outside of the United States.” He was arrested just three days later in Panama “by Panamanian authorities in conjunction with the FBI Legal Attache office,” the FBI said. For its part in a separate civil case, the Securities and Exchange Commission alleged that Mowen had three prior convictions in Utah for securities fraud and two for theft. Despite Mowen’s criminal record and history as a fraudster, promoters still did business with him. Their faith drained millions of dollars from investors, the SEC said. Downstream promoters who entrusted the promoter “conducted virtually no due diligence in connection with [his] purported investment opportunities, but transferred investor money to [him] without any documentation or limitation on his use of the funds,” the SEC said. “[T]he Promoters were reckless in failing to discover [his] association with Mowen and that their funds were being placed into a Ponzi scheme or used for other undisclosed purposes,” the SEC said. Among the SEC’s civil allegations against Mowen were that he siphoned off $8 million in investor funds for his personal use and transferred $650,000 to his former wife, who is named a relief defendant in the case. Authorities painted a picture yesterday of a scheme that had morphed from financial crimes that crossed international borders to murder-for-hire — all in the name of Ponzi profits. The Obama administration has recently announced a DoJ joint task force of several agencies which is targeting online fraud. This should help co-ordinate the efforts of law enforcement and raise the stakes for those promoters who think they can act with impunity. Promoting a Ponzi is a felony even if you are not listed as an employee of the Ponzi. I hope they announce high profile prosecutions in the next few months. That would have a chilling effect in the “industry”. I’d like to see the AutoSurf scripts taken off the market as they have no legitimate use to my knowledge. We are back to the issue of “enablers”. The ponzi frauds do not work without them, and neither do any others. These enablers include not only the offshore money institutions, but also the major promoters, without whom no ponzi scheme online is complete. It is almost certain that a limited number of insiders at ASD were well aware of Andy Bowdoin criminal background, or became aware of it during their period of involvement with the scheme and remained silent. Having said that, as some of the same enablers had the same problems with their backgrounds, their silence comes as no surprise. Not even close to the record, which was set by an ASD apologist. P.S. The apologists also hold the record for swearing in these parts. Previously, it has generally been the SEC and a few other agencies that have acted. I haven’t seen the Secret Service and the DoJ actively involved and they may have a different take on the “industry”. Government is not monolithic. It’s also useful to note that the DoJ seizure and confiscation of funds is different, at least in nuance, than SEC appointing a receiver. How much different, we’ll have to see over time. alasycia: Previously, it has always been the owners of schemes who paid the price, and the major promoters walked free, in spite of the fact that they knew what they were doing was illegal. PatrickP.S. The apologists also hold the record for swearing in these parts. well, now that you’ve said it out loud, I expect convicted felon Bob Guenther will be mounting an assault on that record. dirty_bird: Previously, it has generally been the SEC and a few other agencies that have acted. I havenâ€™t seen the Secret Service and the DoJ actively involved and they may have a different take on the â€œindustryâ€.Government is not monolithic.Itâ€™s also useful to note that the DoJ seizure and confiscation of funds is different, at least in nuance, than SEC appointing a receiver.How much different, weâ€™ll have to see over time. The Depwrtment of Justice has statutory authority to sieze funds and then redistribute them to victims of crime, the SEC does not havfe this authority, nor does it have any legal way to bring criminal charges, and this is why the SEC uses court appointed receivers and the Justice Department, the Treasury Department and agencies under the Department of Homeland Security do not. You’ll also note that Bob Guenther still thinks that ASD is going to be turned over to a receiver, although there is no legal mechanism for this to happen and in fact the money will be redistributed directly by the Treasury and/or Justice Department (with no fees deducted). Although, since the amount recovered was only a fraction of what was taken in, much less what was “owed” participants will not be made whole on their losses. The Depwrtment of Justice has statutory authority to sieze funds and then redistribute them to victims of crime, the SEC does not havfe this authority, nor does it have any legal way to bring criminal charges, and this is why the SEC uses court appointed receivers and the Justice Department, the Treasury Department and agencies under the Department of Homeland Security do not.Youâ€™ll also note that Bob Guenther still thinks that ASD is going to be turned over to a receiver, although there is no legal mechanism for this to happen and in fact the money will be redistributed directly by the Treasury and/or Justice Department (with no fees deducted).Although, since the amount recovered was only a fraction of what was taken in, much less what was â€œowedâ€ participants will not be made whole on their losses. This has been my understanding of the situation too and, like many others, I have never understood why Bobbie G is still clinging to the idea that there may be a receiver appointed. It has been spelt out many times that the intervention of the DoJ and Secret Service brings with it a great many more legal powers than an intervention by the SEC. What is an enormous shame is the quantity of money that will never be recovered and which never saw the pockets of any “victim” members. Andy Bowdoin & Co and the gang of insiders who sold ad packs for cash do know – but it is unlikely that much will be recovered. It is to be hoped that the US Administration’s recognition of the enormity of the scale of ciber fraud will change everyone’s way of looking at “work at home” schemes on the internet. My belief is that the civil action was “stopping a robbery in progress” and that the criminal action will be rather wide ranging as this wasn’t the first rodeo for many of the promoters. The prosecution has had over a year to investigate. In the scheme of things, ASDMBA and other follow up schemes like the outside pro se filings were small potatoes and not significant in relation to ASD. I certainly hope that the prosecution follows up in a way that signals it “not business as usual” so that the promoters just move on to the next scam. We’ll have to wait and see. Even Judge Collyer alluded that she’d heard the rumors of the potential criminal action but I doubt she’s in the know unless she signed warrants over the past year. The prosecution has shown that they are ready to move now that the civil litigation has been resolved barring any appeal. dirty_bird: Hi Alasycia,My belief is that the civil action was â€œstopping a robbery in progressâ€ and that the criminal action will be rather wide ranging as this wasnâ€™t the first rodeo for many of the promoters.The prosecution has had over a year to investigate..
You have just coined a new concept – “stopping a robbery in progress” – which is a delightful way to describe the actions of the US Secret Service and one which needs to be understood by those few people who are still listening to the ponzi promoters on Surfs Up and other pro ponzi forums. It is the hope of many of us that the prosecutions of those involved will be sufficiently far reaching to start to put an end to the wretched autosurf “industry”. Does anyone know when and where the next court date is? Andrew: Does anyone know when and where the next court date is? Um, court date for what? I’m trying to figure out when and where the auction is going to take place on Mowen’s cars. Are they going to have other hearings before the auction is finalized?